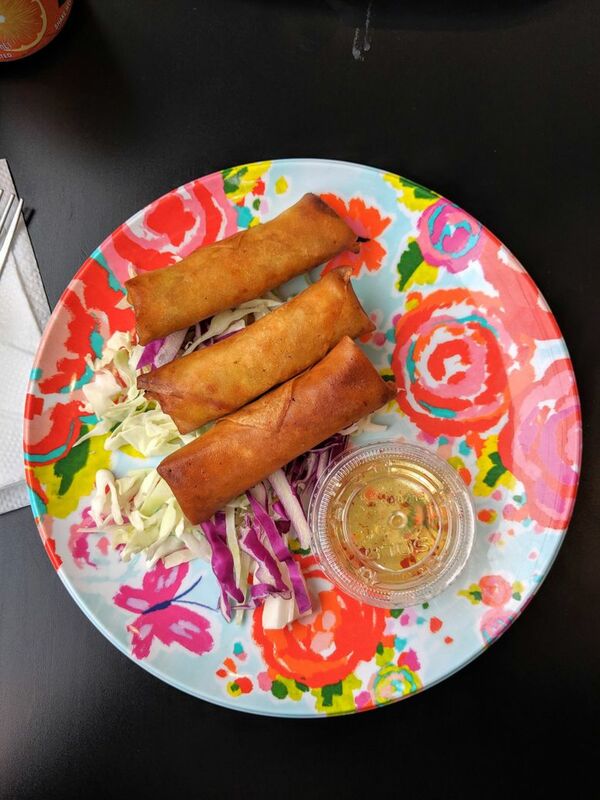 From the brother of the well-known Sam Choy comes Patrick's Bakery & Cafe, in White Center. While you're there, fill up on massive portions of loco moco, or order a custom cake for later. Patrick Choy’s last name might ring a bell for poke fans or those who’ve visited Hawaii’s Big Island: Sam Choy is one of his three siblings, and like Sam, he grew up helping in the family’s James Beard American Classics award-winning restaurant Sam Choy’s Kaloko. He’s the baker in the family, a sweetheart of a guy who enjoys joking with the customers as often as time permits. Patrick’s place got its start in Renton’s Stone House Cafe, and moved over to White Center late last winter. It’s small (just three tables inside, plus three seats at a low counter); when it’s sunny, the magnolia-ringed patio seats several dozen more, but much of the business is takeout. The whole place brings Hawaiian cheer to Seattle, from the farmers market-ready housemade pineapple marmalade jars snuggling with Hawaiian Sun in the cooler to tropical print plastic plates served alongside fragrant cups of Cascadia Chai. 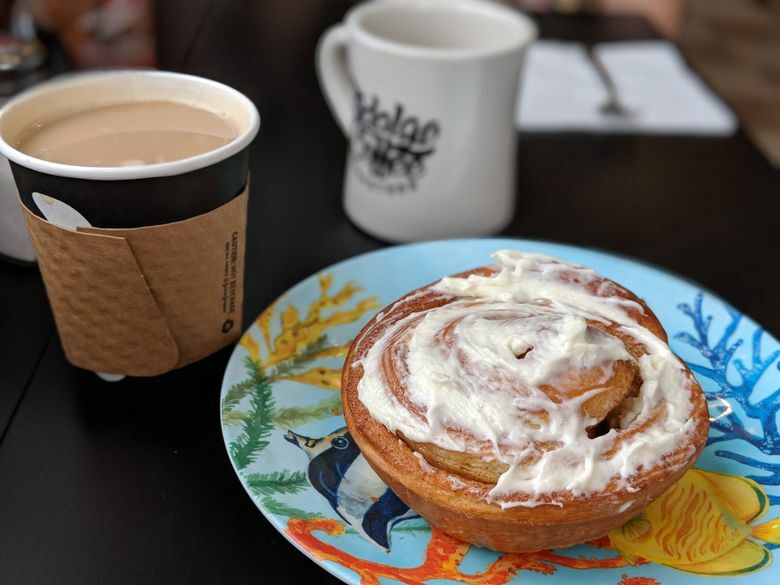 The pastries: Looking at the shelf of cinnamon rolls is like staring into the sun — compelling even if you suspect the longer you look, the likelier some sort of long-term damage becomes. They’re enormous, fluffy buns topped with mounds of not-too-sweet cream cheese frosting or rich haupia (coconut) buttercream. The dough is buttery and light, the filling flavored just mildly cinnamon, the sort of roll you can happily finish on autopilot, actual hunger level be damned. Pastry options generally include fresh fruit danishes, pineapple and blueberry scones, and refrigerated cake squares in flavors like guava, chocolate haupia and chantilly (a macadamia nut version of German chocolate). Patrick bakes custom cakes as well, and can be seen personally handing over these orders, always with a kind word and a final confirmation that all is as it should be. 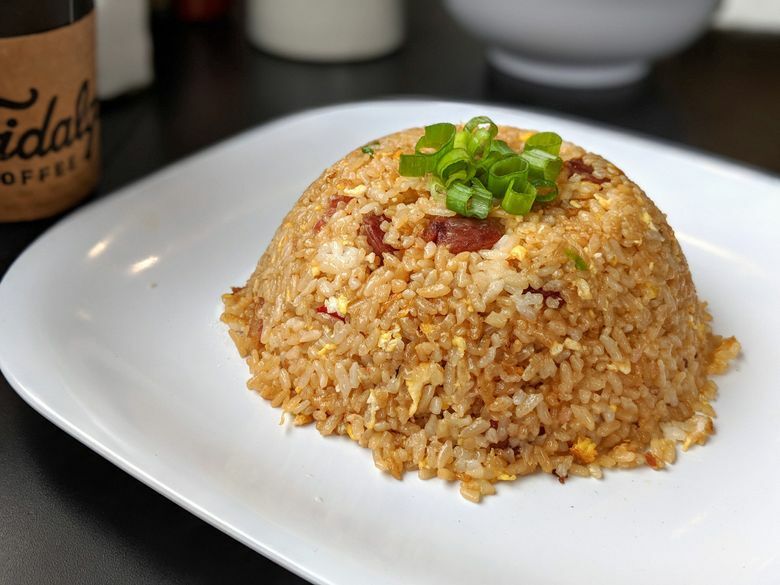 Everything else: Portions range from generous to massive, whether the dish is fried rice the size of your head or a bowl of loco moco that, if eaten in its entirety, makes other meals that day unnecessary. Size isn’t the only thing to admire — the loco moco’s housemade gravy was like beefy pan sauce at a high-end restaurant, and the fried rice impressed with bacon, char siu pork and Portuguese sausage. Lunch specials change frequently; one day’s carb circus of “Mac Three Ways” (mac salad, vegetarian chili mac, and mac and cheese) was delivered with jokes along the lines of “well, I put plenty of lettuce under the mac salad!” The chili mac was least successful, as the chili was too thin, albeit with good-tasting, good-textured vegetables; it was a bit like minestrone under a toasted cheese blanket. 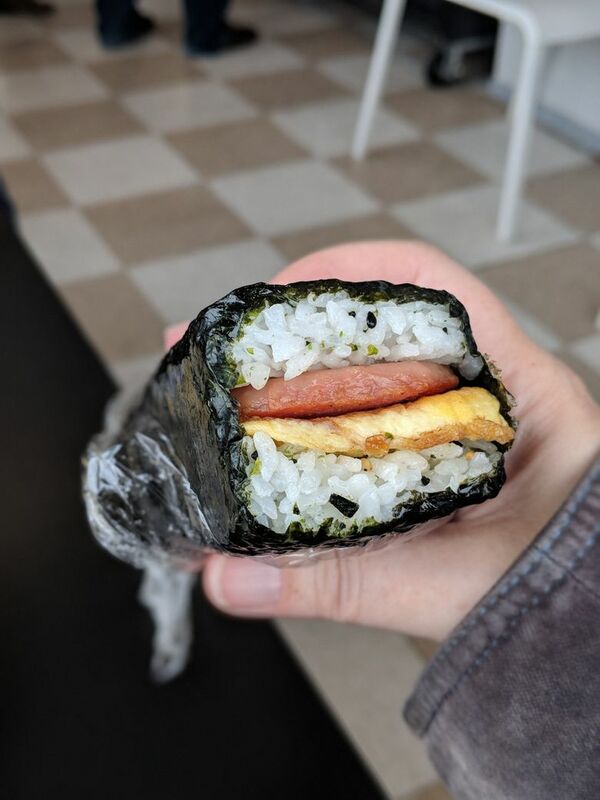 Smaller snacks, like spam musubi and lumpia (vegan or porky), are a bargain, offering big flavor for five bucks or less. 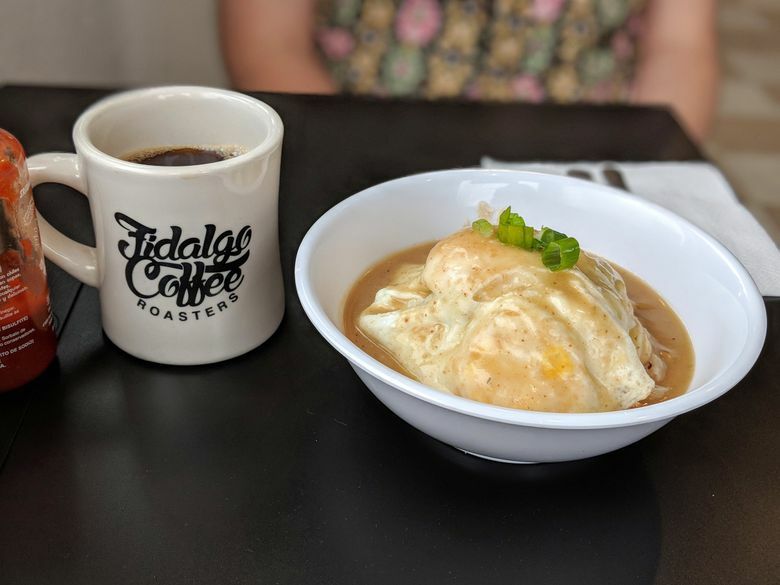 Prices: Loco moco ($9.85), fried rice ($6.50), cinnamon roll ($4.50), and chai latte ($3.90) added up to a $24.75 (plus tax and tip) breakfast for two. Pork lumpia (3 for $5), spam musubi ($3.50), lunch special ($7.50) and Hawaiian Sun ($1.95) equaled $17.95 (plus tax and tip) for lunch for two.